Right now, home buyers and sellers are looking for an agent. Are they finding you? Put your best foot forward with exciting designs from our expert creative team. Always responsive, our Premium Designs always look great, no matter what device or screen size your visitor is using. 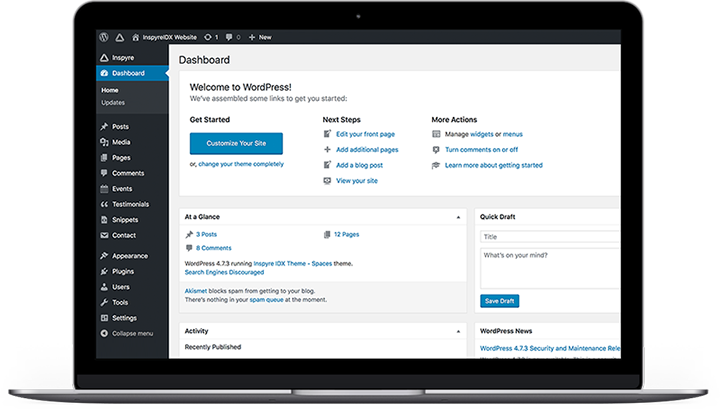 Designed with the power and flexibility of WordPress at their core, our design options combine creative ideas with the fantastic features to create a perfect foundation for all of your Internet marketing efforts. 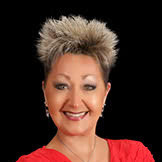 Guide motivated buyers directly to the best and most important listings on the Internet. Yours. 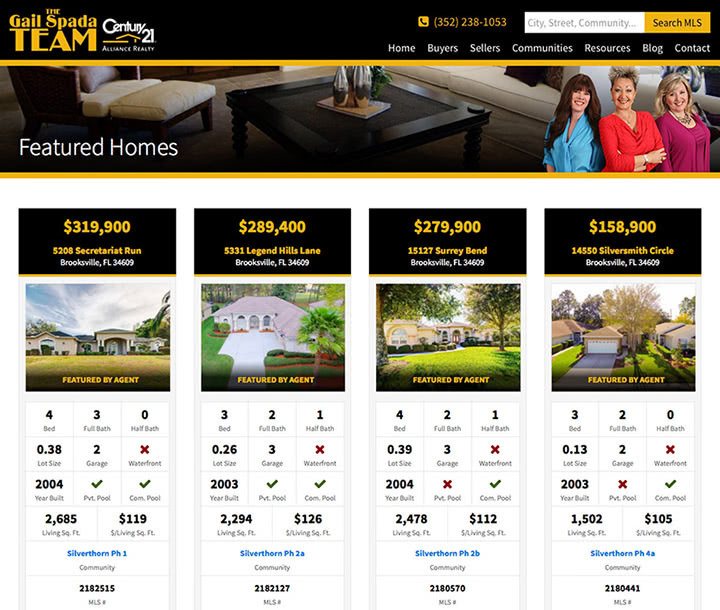 Put your listings front and center with home page featured placement and custom curated result pages. 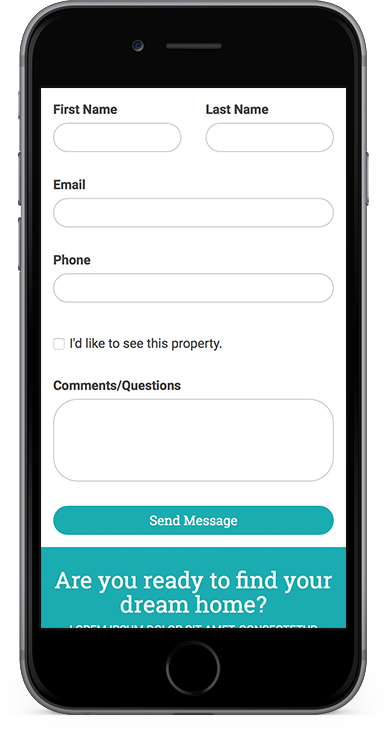 Drive leads from property detail pages directly into your inbox and do it all under your brand and your name with no iframes and no third party "embed codes". Full MLS search and property details integrated directly into your branded website. Allow your visitors to search property listings provided by your local board or association by property attributes, location, price range and more. Add predefined search pages to your site to automatically display properties matching specific criteria. 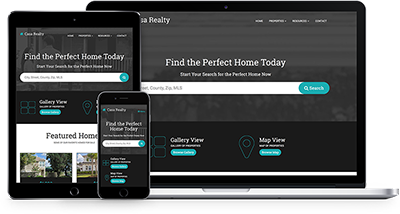 Use to promote homes in specific communities, create regional result pages or create curated property lists! Display full property details on pages dedicated to each property. Allow customers to view property images and send inquiries about the property without leaving the page. Restrict your site's property listings to only the types you want to show. Include or exclude residential, commercial, or rental properties, and select the specific counties you serve. Give your visitors a bird's eye view of the properties they're interested in with integrated map search. View properties by area and refine the results using additional search criteria. Send customers links directly to predefined map searches highlighting properties in communities you know they'll love. Show your customers the properties they're looking for in the places they want to live. Pinpoint your customer's properties of interest on a familiar, interactive map view. Pan and zoom the map to load or refine search results. Narrow map searches using filters. Restrict results to only those homes that match the features, styles or price range your customers are looking for. 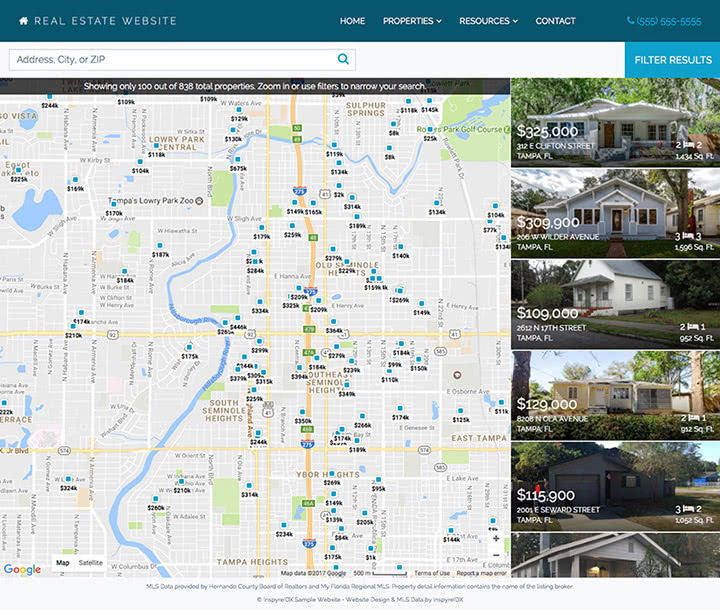 Desktop users can take advantage of the map sidebar providing a quick look at the listing's primary photo and most important information. See property details without ever leaving the map page. 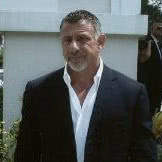 Customers can click any listing to see full MLS information or send you questions about the property. Maps work on all devices from phones and tablets up to desktop screens. Map features adapt to your customer's screen size so that users get an optimal experience wherever they may be. Map result views generate URLs that can be bookmarked and shared. Customers can save interesting map results to come back to later or you can follow up with customers to show them additional homes in the areas they're interested in. Getting visitors to your site is only half the battle. Once there, you need to capture their information to turn those anonymous visitors into qualified buyer and seller leads. InspyreIDX websites give you the lead capture tools to collect visitor information and, coming soon, a complete solution for managing those leads from acquisition through follow-up and on to contract and closing. InspyreIDX features built in lead capture forms, so you're ready to go on day one. But don't let great defaults keep you from new marketing ideas! Customize existing forms from the contact page to property detail pages or build brand new forms for any page on your site to test new promotions or marketing approaches. There's no limit to the number of forms you can create, so experiment and try something new! Connect with your audience by capturing their information using our easy-to-build forms. Gather important information from your website visitors with custom forms. You can create contact forms, registrations, applications, and more. Our form integration allows you to place any form on any page of your site as well as any sidebar area. Say goodbye to spam. Akismet filters out your comment and form spam for you, so you can focus on more important things. Easily create customized emails that are automatically sent to you and your audience whenever forms are submitted. Boost engagement and and keep your customers engaged with events! Create, share and manage your next open house or community event on your InspyreIDX website. From RSVPs to guest lists and social promotion, start scheduling today. A great way to let your visitors know what you're doing and when. Show a full 30 day calendar view on a detailed events page or site wide sidebar widget for all your meetings, special events, open houses, and more. Create event pages complete with rich media, reservations, ticket sales, promotional video, event information, location, map, and more. Create public events that do not require your guests to RSVP. Build your event mailing list and make it easy for users to reserve their space with a simple RSVP. 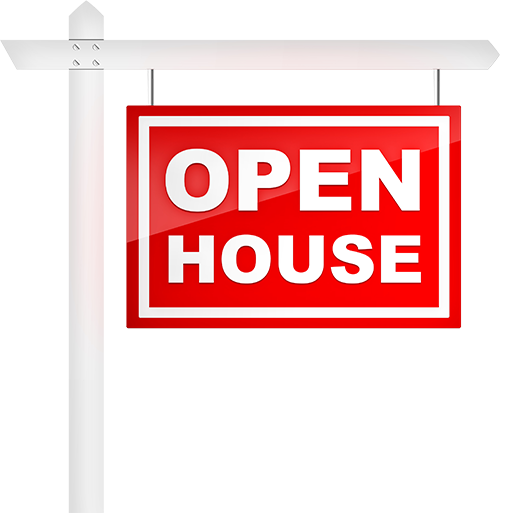 Paid attendance or free events, efficiently plan your next open house or brokerage event. You and your attendee will receive email confirmation form an RSVP event. Allow guests to RSVP for your events using only their email address, Facebook, Twitter, or Google+ account. Easily create custom email notifications and quickly notify your RSVP guests via email of event modifications or cancellation. Process online payment with PayPal or allow manual payments at the door. Download a guest list to check in attendees as they arrive. Take control of your events maximum capacity and limit the number of attendees for each of your events. Simply add an animated event countdown for your next event, or for a specific special event, to any page or post. Automatically redirect visitors to anywhere on the web when the countdown expires. Show your event history without worrying about an RSVP for a past event. 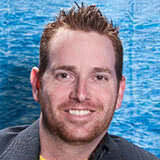 Get attendees excited about your event and have it go viral on Facebook. Spread the word with automated social sharing when attendees RSVP so they can let their friends know what they’re missing out on. There’s no need to manually create repeating events on a schedule. Use recurring features to create one event, assign a schedule, and have scheduled events appear on your calendar, just like clockwork. Past event links and calendar entry will automatically be redirected to next recurrence of specific event. If an event is in-progress, you can redirect visitors from a selected page, post or event, to any external or internal link. Now you can quickly redirect your visitors to a live stream or an announcement during a live event. Don't wait for your visitor to find your events schedule. Promote your upcoming and most popular events by including a widget on each page and blog post. With an extensive library of ready-to-use, customizable shortcodes available, promoting your events have never been easier. Allow your visitor to export your event to iCal format and import into their calendar. Supported by any email client that supports the iCal format such as Apple Calendar, Microsoft Outlook, and Google Calendar. Your customers are accessing your site from every device and every location. Our sites are always responsive and adaptable so your content looks great on all of today's mobile and desktop devices from phones and tablets on the go, to laptops and desktops back home. In today's mobile first world, responsive websites are not a feature. They are a requirement. From mobile phones to tablets to desktops, your website will look great on any screen size. InspyreIDX supports today's latest and greatest browsers including Chrome, Firefox, Safari, Internet Explorer, and Edge. Check out our Premium Themes to see our work first hand. Don't settle for limited flexibility. 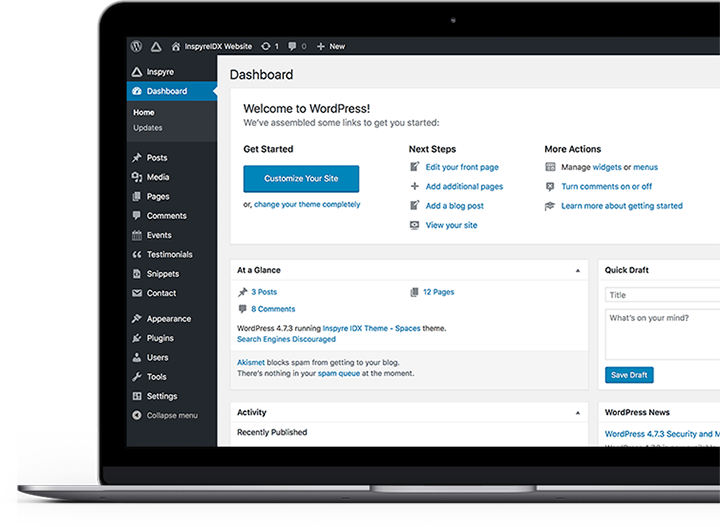 Built on top of WordPress, the publishing platform powering over half of the Internet, InspyreIDX combines the power of WordPress' content management and open source plug-in system with custom technology and behind the scenes MLS data and lead capture platforms. The tools from the world's leading content management system right at your fingertips. A fast and simple content editor that is intuitive to use, saves your work every few minutes so you never miss a word, and doesn't require HTML or CSS coding knowledge. Essential tools to create and sustain a great and engaging blog, such as categories, tags, post commenting and moderation, and blog RSS. Manage your files easily, without hassle. Drag and drop images into posts and pages. Create designer worthy photo galleries. Embed audio, video, and more. Make it easy to grow your audience with built-in SEO. All you have to do is create and publish.